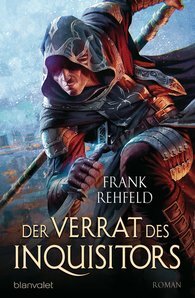 Frank Rehfeld started writing in the 1980s, and since then he has published a number of books on television series, including the fantasy two-parter The Legend of Arcana and Giants, the dinosaur novel he wrote together with Wolfgang Hohlbein. The saga of Garth and Torian was also produced in teamwork with Wolfgang Hohlbein. Finally, Frank Rehfeld co-authored and edited the successful series featuring sorcerer Robert Craven.